Robotics & Gamification: Could They Be Future Curriculum Cornerstones? Video games have a certain negative connotation when it comes to children. Considered time wasters, and often violent, many parents and educators discourage the use of them. However, when applied properly, the gamification of educational subjects can take the education system by storm. Many educators find gamification to be extremely beneficial when it comes to almost any subject. So, if video games are bad for you, why are professionals implementing major elements of them into children’s classrooms? Below are some reasons why gamification will become a cornerstone in curriculums for years to come. Gamification is starting to be perceived as a powerful education tool, rather than a time waster. Recognized for capturing student minds and keeping their attention, the gamification of many educational subjects are underway. Software, apps, and even robotics are starting to fascinate children everywhere. One such case is Nao, the talking robot, who interacts with students while teaching them literacy and computer programming. Gaming software, apps, and robots like Nao are doing a better job at keeping students engaged than drab material from a PowerPoint presentation. Gamification gives children incentive to learn and do better by offering rewards and experience points rather than grades. Younger children especially are responding positively to the gamification of tough subjects such as the STEM curriculum — Science, Technology, Engineering, and Math. Gamification does what no PowerPoint presentation can do: it actively engages the student, and while that student is learning, they are retaining the information. Gamification not only teaches tough subjects, but it allows the student see the consequences of decisions without risk. In doing so, a student can be shown exactly why their answer was wrong or right. Take a science class for instance. Gamification can allow for a very in-depth interaction with elements of the periodic table, determining which elements form together to make new elements and which ones do not. In a formal setting, the carefree mixture of elements wouldn’t be possible as some of them are harmful when combined. However, virtual simulations provide a zero-risk environment to do so, while actually learning which elements mix safely together. A student is able to predict what will happen, see that they were wrong or right, and witness real-time the result of their prediction. This learning method will help them retain why they were wrong or why they were right. 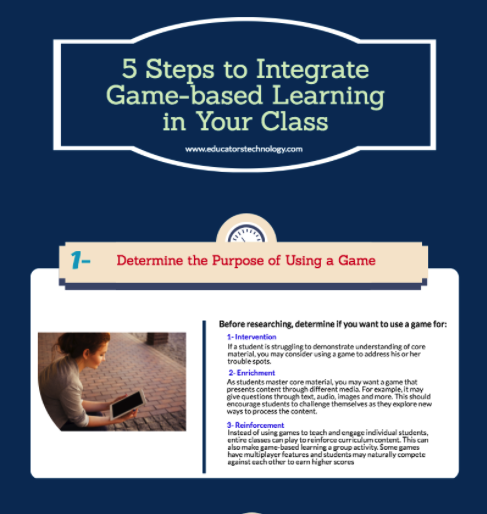 Gamification, while easily paired with education, has many other practical applications. Many industries are applying gamification with virtual reality to train prospective employees. Aviation and healthcare are benefitting from this training, as when failure happens, it is in a minimal-risk environment. The risks of downing an airplane, or miscalculating a surgical cut, are eliminated when it’s just virtual reality. Other industries and their prospective employees are starting to recognize this and aligning their collegiate career toward Management Information Systems in areas such as business — for the implementation of what gamification can do to marketing and attracting a customer base. Gamification is still a fairly new concept, but as it develops further, we’ll see that other industries can’t help but take advantage of the benefits. Gamification borrows major components of video games such as experience points and scoreboards, but is starting to distinguish itself from the video games we are all used to. Coupled with education, video game elements and virtual simulations are proving to be an invaluable tool that educators are starting to embrace. Its dynamic ability to teach, as well as demonstrate, allows for a better retention rate in children. It’s fun, interactive, and helps children remember information. Recognizing the benefits of gamification, it’s inevitable that it will reach its way into a wide variety of industries in the future. Better preparation of employees, especially those in occupations where lives are at stake and failure during training won’t cost them, is a win-win for any industry. Gamification is transforming the education system, and soon will certainly expand into many other industries.